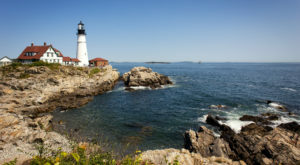 Over the last few years, Maine has effortlessly claimed a place for itself on American “best-of” lists. But, it’s not just seafood that has people flocking to Vacationland. 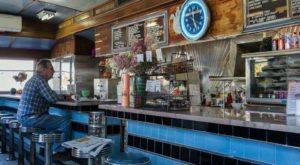 Over time, we’ve built up a unique list of spots that offer foods from Vietnamese to Thai and even an entire spot dedicated to seaweed! 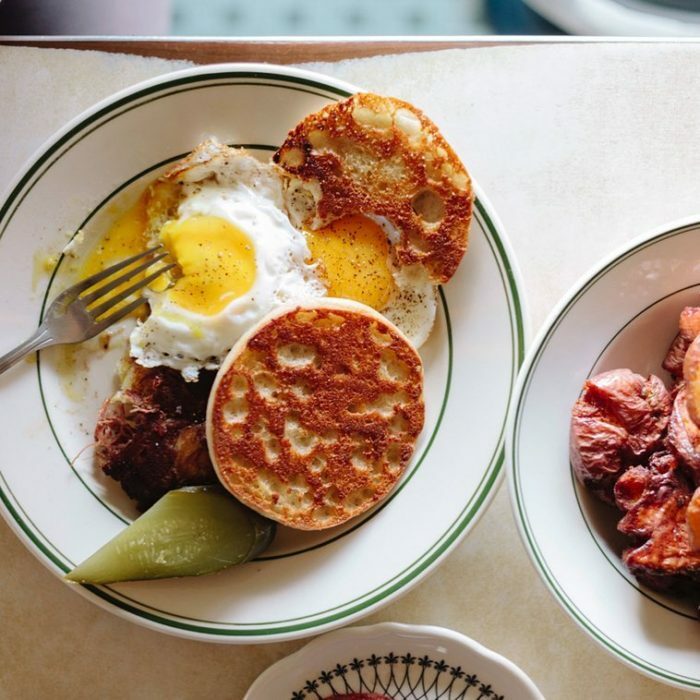 But, that doesn’t mean you’ll only find modern takes on good food. 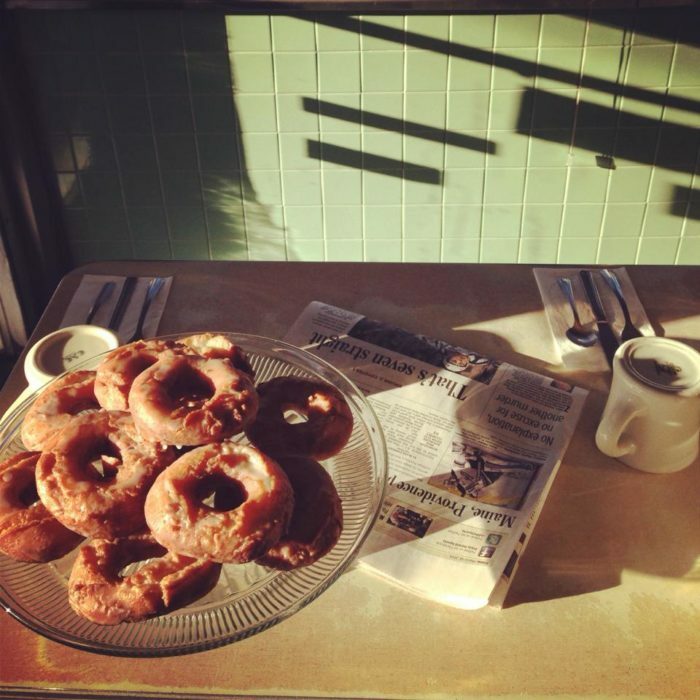 Mainers know that people like the classics and nobody does it better than one particular diner in Biddeford. In fact, we think it’s a triple threat. 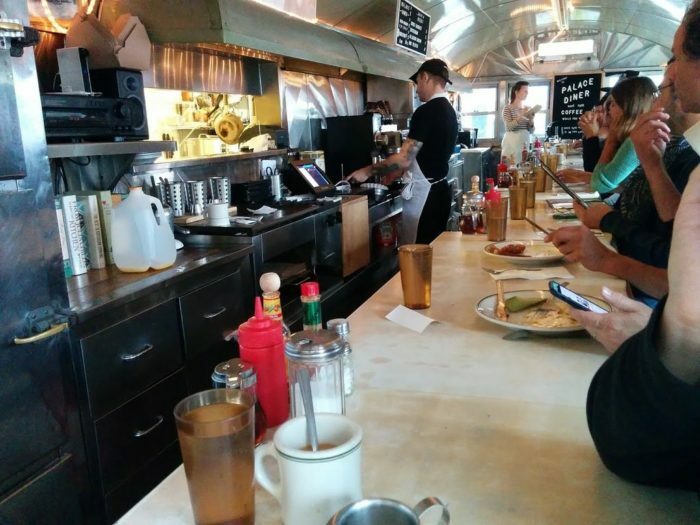 It’s got a great history, a cool hip vibe and, most importantly, some of the best food you’ll taste in any diner. 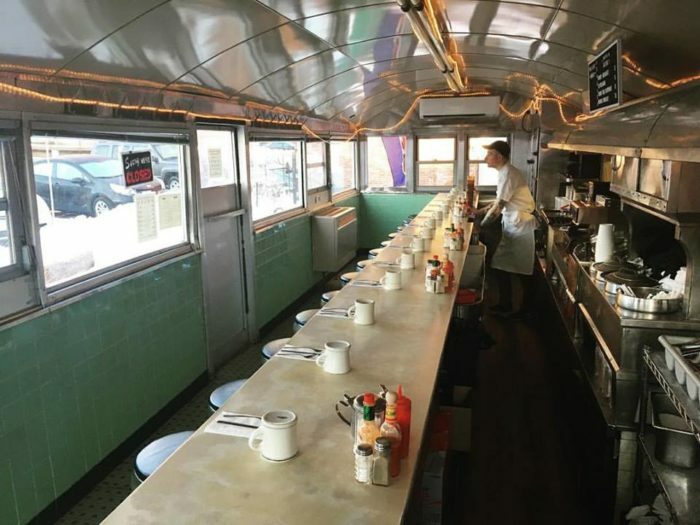 The vintage diner in Maine we’re visiting today should go on your must-eat list immediately. 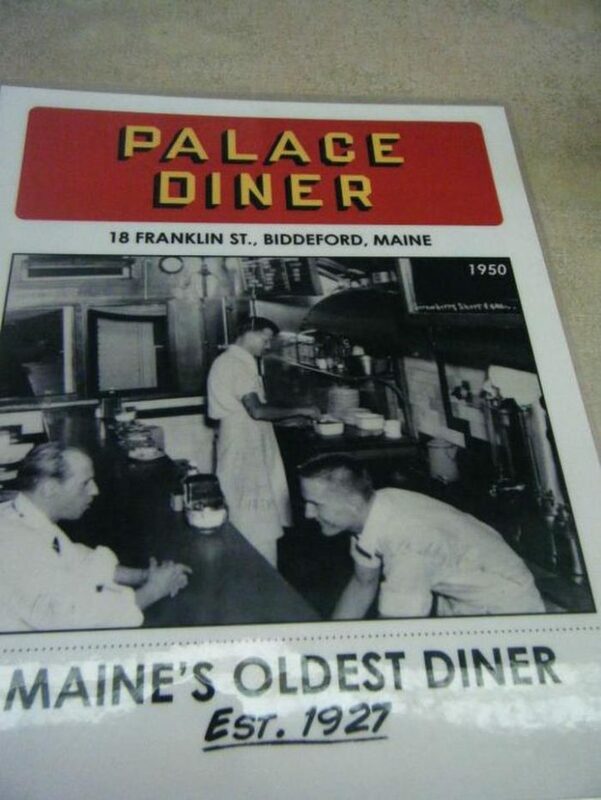 The Palace Diner, located in Biddeford, is Maine's oldest restaurant. 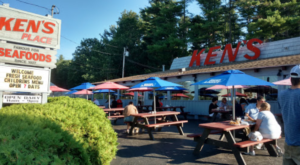 The vibe here is vintage but what makes it special is that its roots are in Maine, making it anything but a cut-to-fit hipster experience. 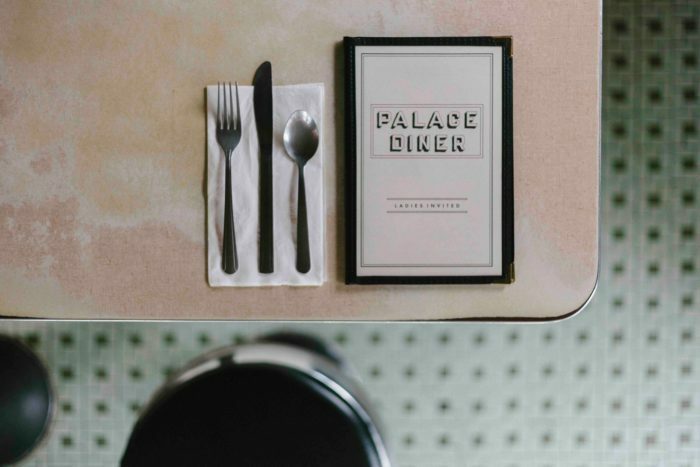 The diner has made its home in one of only two existing Pollard dining cars in the world and it dates back to when Biddeford was a true textile mill town. 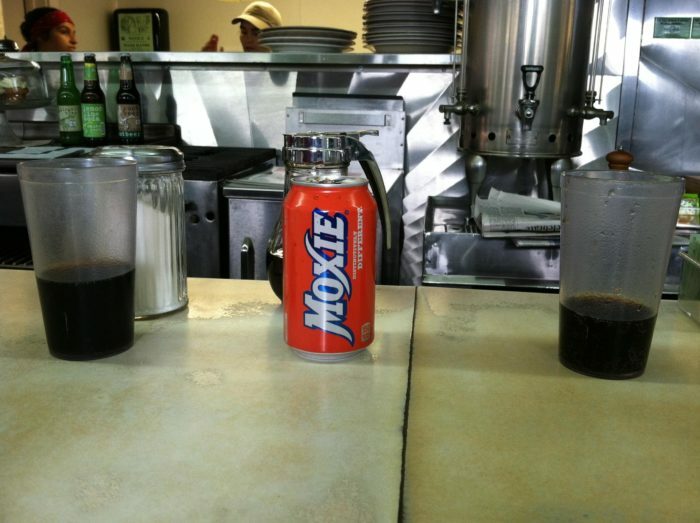 In fact, it fed those in the industry beginning in 1927 making it a town staple for nearly 90 years. 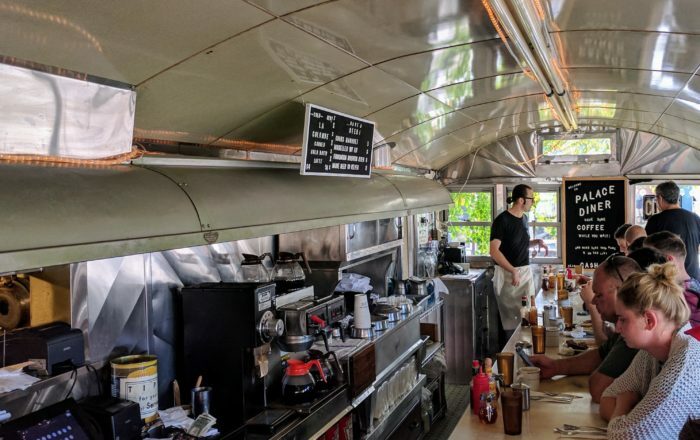 In the early days, the diner was open 24 hours a day to ensure that workers always had a place to go. There were only 15 seats, which were always buzzing with people. 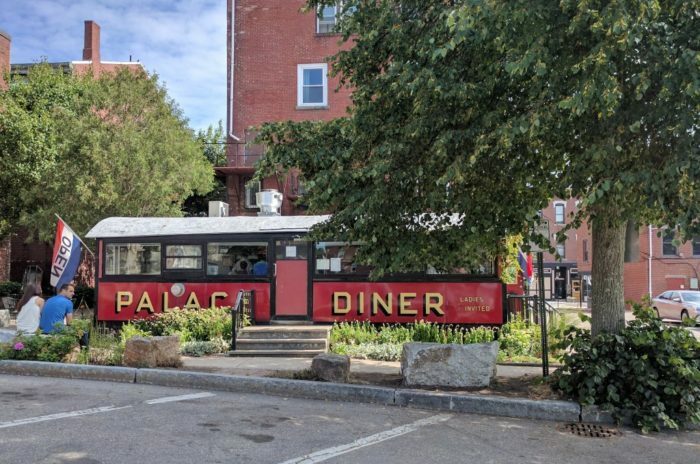 While the current version of the Palace Diner has been open since 2014, the history of its ownership is rich. 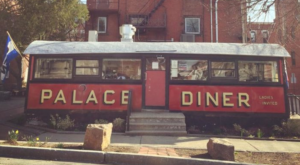 Original owner, Louis Lachance, was a locomotive engineer who ran the diner until the early 1960s. It changed hands many times over the years, with different people putting their own distinct mark on it. 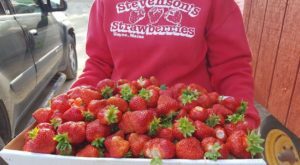 What you find inside today is the brainchild of Greg Mitchell and Chad Conley who met while farming in Maine. 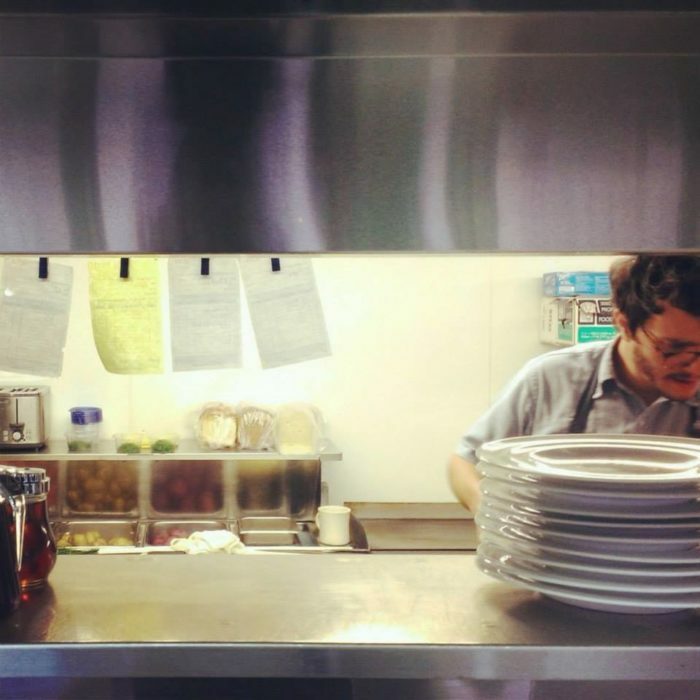 Their friendship was born out of a shared desire to share quality food with others and they've been doing it since March 2014. The counter inside is where the majority of the action takes place. And it's typically completely filled. The black and white menu boards give it a vintage feel, without being fussy and pretentious. 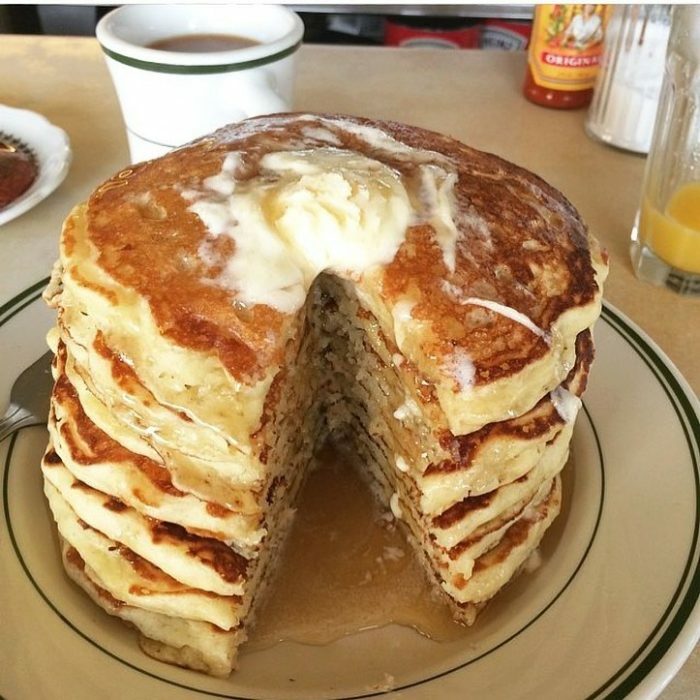 But it's the homemade simple foods that make it stand out. 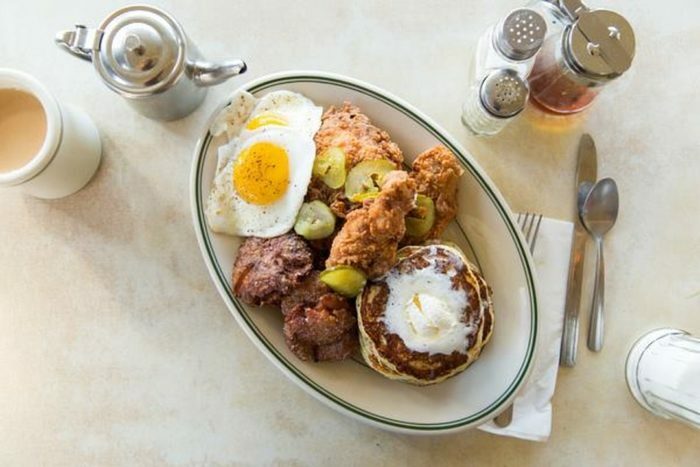 Each menu item reads like typical diner fare, but boring is far from what you'll get. 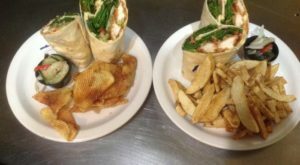 All of the ingredients are freshly prepared and local whenever possible. 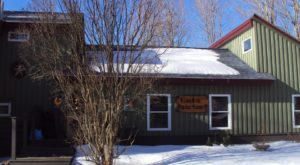 Their hash is made from 100% Maine grass fed beef. The brisket and short rib are brined in-house for five days before being braised for 16 hours! 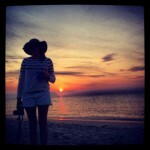 You'll find Maine flair throughout. But, if you can't mange to choose you can always order both at the same time. 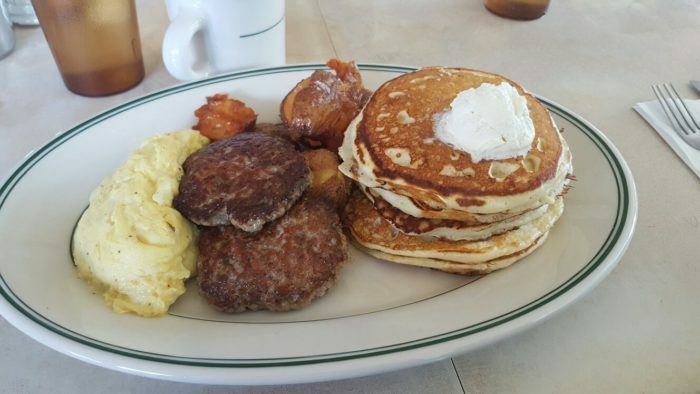 The lumberjack breakfast is a favorite and includes eggs, pancakes and fried chicken. 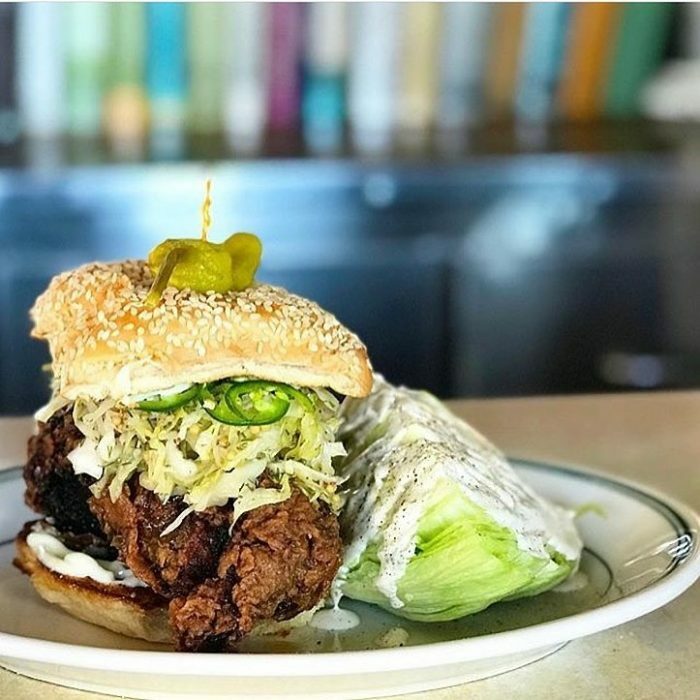 Speaking of fried chicken, on select Fridays they host Friday Chicken Friday where their perfectly concocted poultry is served from 6pm until they run out. 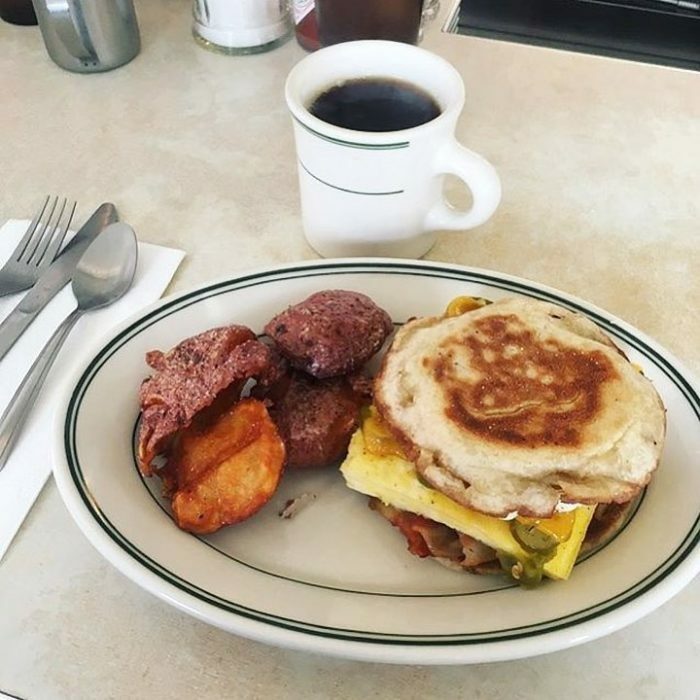 The Palace Diner is open every day from 8am to 2pm for breakfast and lunch. 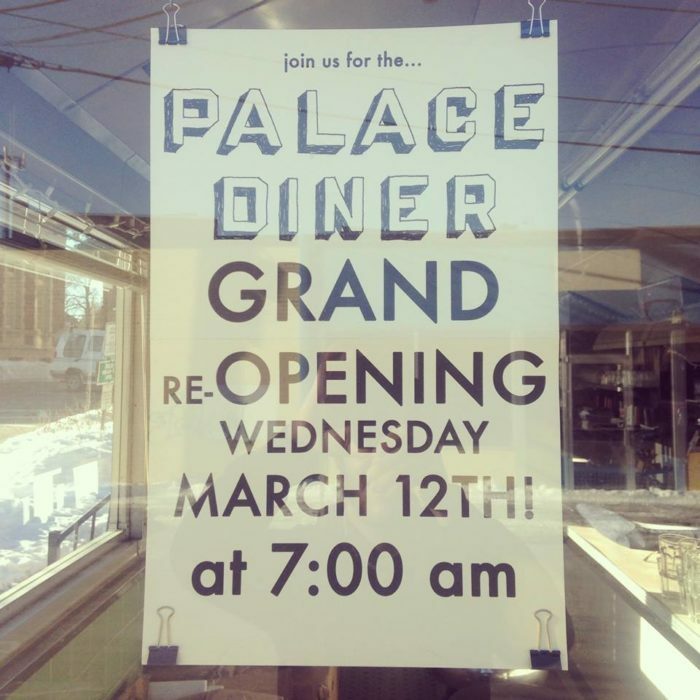 The Palace Diner is located at 8 Franklin St. in Biddeford. You can call them on (207) 284-0015. Visit their website for more information, including the menu. 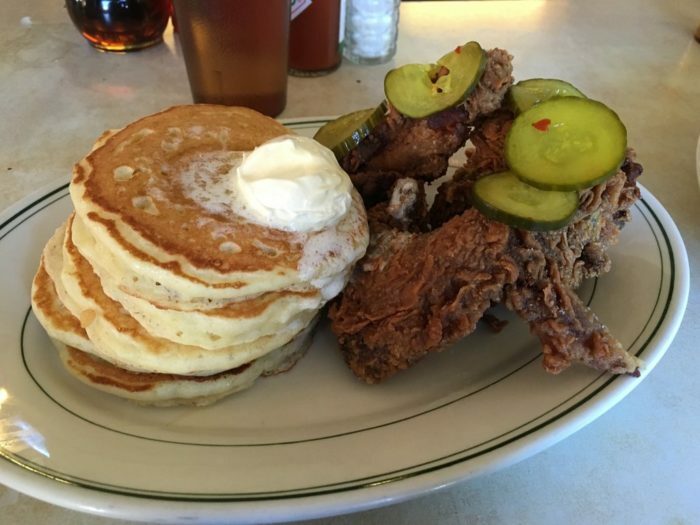 Check them out on Facebook to keep up-to-date on specials and, most importantly, the next Fried Chicken Friday! 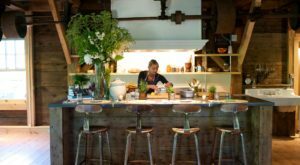 For a quintessential Maine dining experience that includes waterfront views, head to Harpswell and this beautiful restaurant.